Grayguns Pink+P9 recoil spring for Sig Sauer pistols. A heavy duty P226 9mm spring for those shooting hot 9mm loads. Also suitable to P226 .40/357 and the P220 .45ACP if using reduced power loads. f you are looking to upgrade your SIG Sauer® P320 or P365, while providing a firm grip for carry or competition, this is an affordable way to get a customized module. From Grayguns, a Master Spring Set for Sig Sauer P-Series handguns. The P-MSS kit is an action upgrade package designed to reduce trigger pull weight while still providing reliable primer strikes. This set includes two mainsprings, one 17 lb. and one 19 lb., and a competition sear spring. Fits the modern P-Series handguns with a DA/SA system, P220, P224, P225A1, P226, P227, P228, P229 and P-226 X-Five Allround. 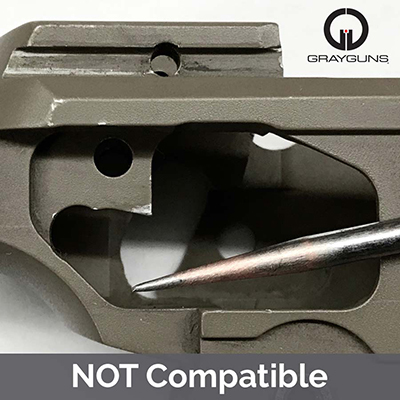 Grayguns Precision Adjustable Intermediate Trigger (P-SAIT) adds easy over travel adjustability. Machined from tough alloy steel, carefully heat treated and finished in black oxide. Tight pin hole tolerances assure smooth, solid function. The intermediate trigger shape optimizes both SA and DA for optimal control, and is far more comfortable than the factory short trigger it replaces. The P-SAIT is guaranteed for life against defects in materials or workmanship. 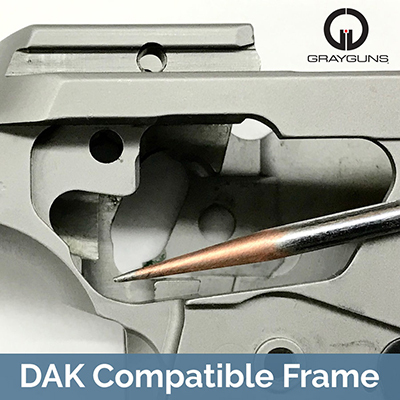 Designed to fit both current and older model traditional double action (DA/SA) and DAK-equipped P-Series pistols, including: X5 All-Round, P220, P226, P-228, P229, P227, and others. Will not fit SIG Pro, X5 Allround, P225 / P6, P239 or most SAO models. Also will not fit older P220 with 8mm wide trigger.